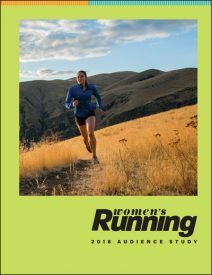 Women’s Running inspires and empowers women to reach their health and fitness goals through running and is published by Pocket Outdoor Media, the leading publisher in endurance sports. Pocket Outdoor Media brands influence and engage more athletes than any other through a combined print, online, and social audience of 44 million runners, cyclists, triathletes, and swimmers. Our brands include Women’s Running, the world’s #1 resource for women runners; Competitor Running, America’s leading website for performance-minded runners; VeloNews, the authoritative voice of cycling; Triathlete, the world’s #1 triathlon resource; and VeloPress, the world’s leading publisher of books on endurance sports. Pocket Outdoor Media is headquartered in Boulder, Colorado and has an office in San Diego, California. See more at pocketoutdoormedia.com.